We understand that you want to upload and print several labels at once so we’ve made it easier with our bulk upload tool. This bulk upload option is free and easy to use. You can use it here. A CSV file, or comma separated values file, is a document where information on each line is separated by commas, allowing sets of data to be interpreted and uploaded quickly to our website. 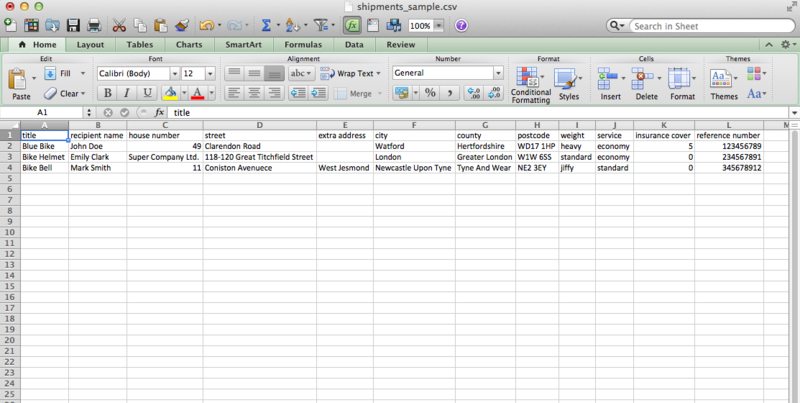 A CSV file can be easily created from a spreadsheet, using common office programs such as Excel. When you have completed your file, upload it via your CollectPlus profile. You will then be taken to a page which allows you to alter the type of shipping and the size of your parcels for each individual label. Here, you can either ‘select all’ or pay for the shipping costs together or individually check the parcels that you want to complete the transaction for. 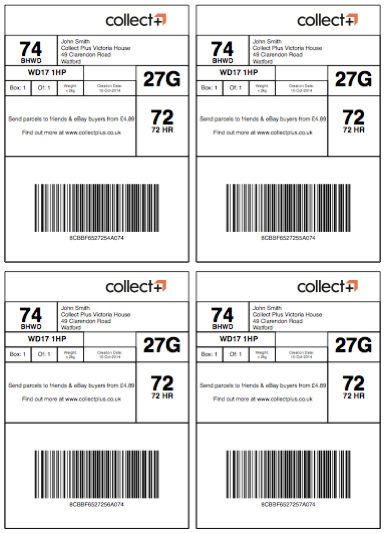 You can print up to 4 labels per A4 page, saving paper and time, and it is available to all our customers who buy more than one label at a time, including those of you who have linked your Amazon Marketplace and eBay accounts to your CollectPlus account. You don’t need to do anything differently to get multiple labels printed on one sheet. The multiple-label PDF will also include a cover sheet which contains some guidance on how to use our labels and to check that the print quality is high enough.